I enjoy lots of food and drink that is probably not so good for me! Not surprisingly wine and chocolate sit pretty high on the list, but as spring rolls in, I also find myself enjoying a good gin & tonic on a Saturday evening. There is something refreshing and light about a good G&T, not only in the way it tastes but in the nostalgia of it. I remember Sloe Gin from my childhood. One of our neighbours would make it herself, distilling the sloe berries and the gin together in time for Christmas and sharing it with her neighbourhood friends. 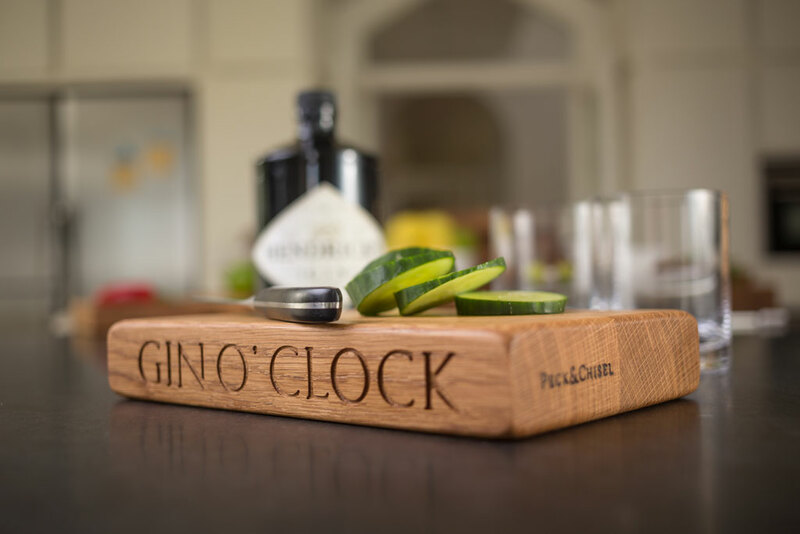 Weddings, christening, almost any special occasion was a good reason for my mother to dust off the Hendricks bottle and it was these fond memories that inspired our Peck & Chisel Gin O’clock board. But the old G&T has recently had a resurgence, modernised for a new era. Four years ago we served it as an aperitif at a wedding and now my drinks cupboard is filled with an array of new and interesting gin flavours such as Rhubarb, Clementine, lemon and choosing the right botanical to accompany it has left the trusty lime to mould in the fridge. Below are some of the gin and botanical pairings that Peck & Chisel are enjoying right now. But before you start playing with these delicate flavours, make sure you invest in a drinks board. 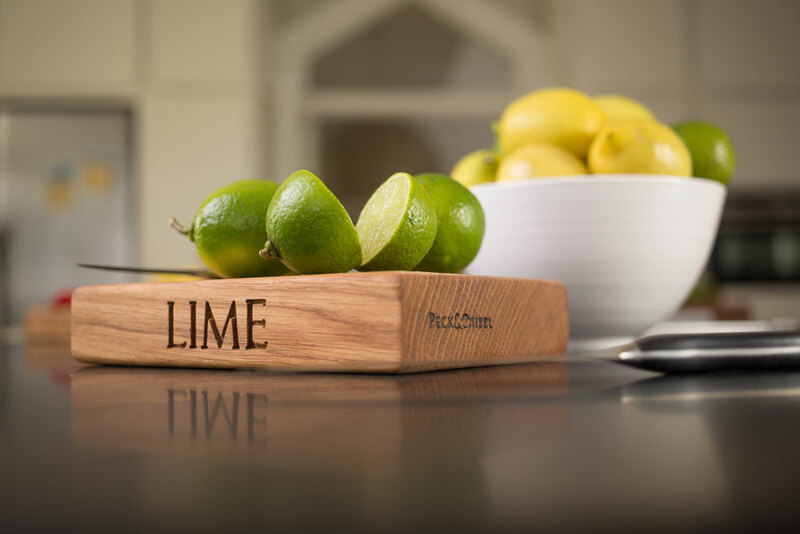 Using a dedicated board ensures purity in flavour, allowing you to make the perfect G&T. And don’t forget the perfect Gin recipe, perfect for preparing on your new board.